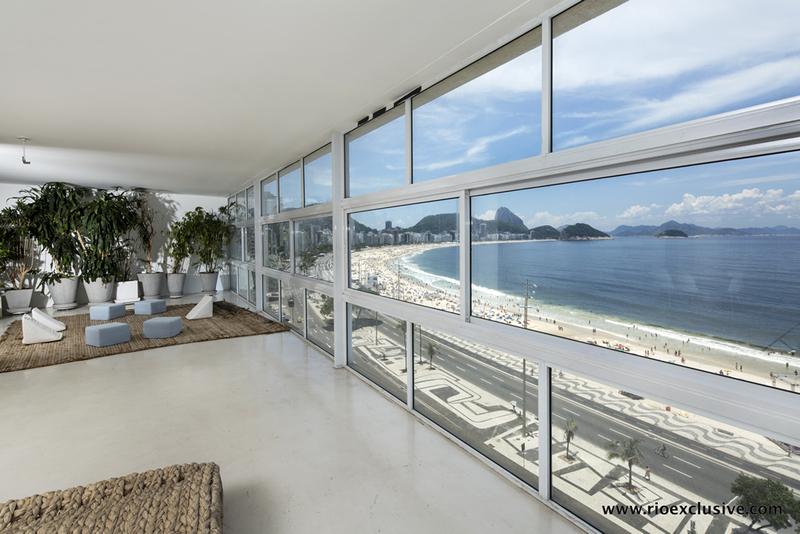 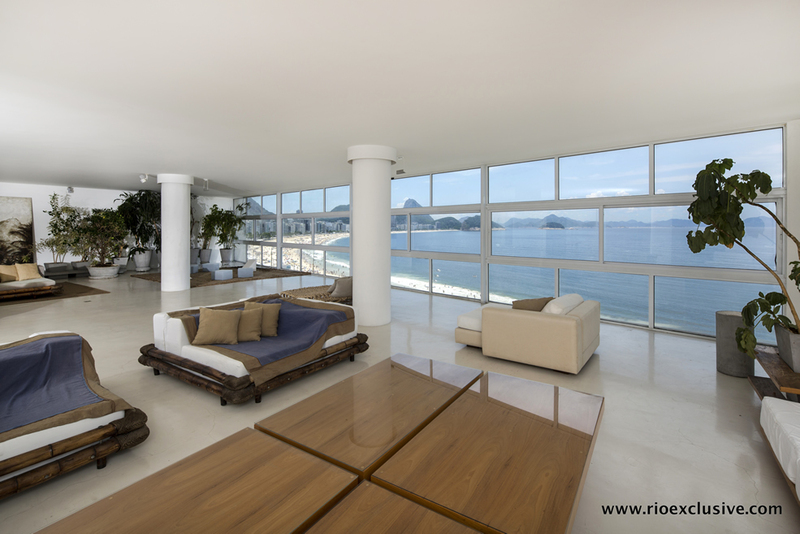 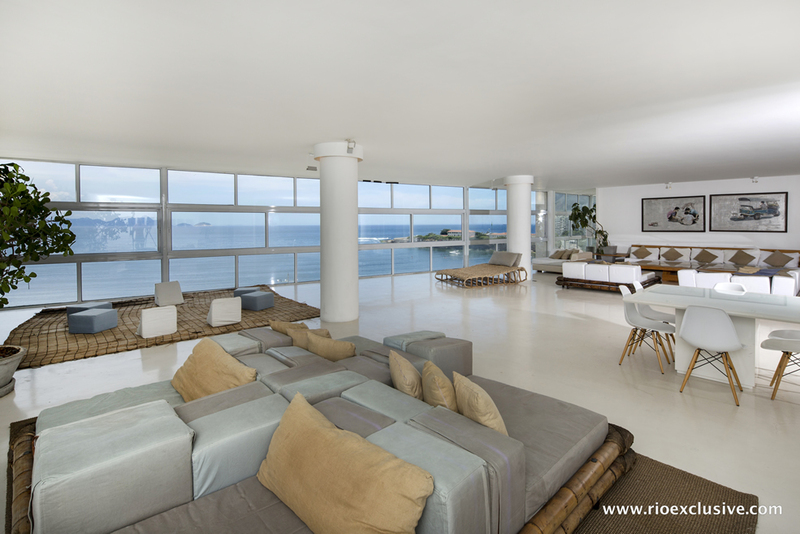 This is an amazing apartment located right in front of the wonderful Copacabana beach, providing a fantastic view of the entire strip of sand and sea to its guests. 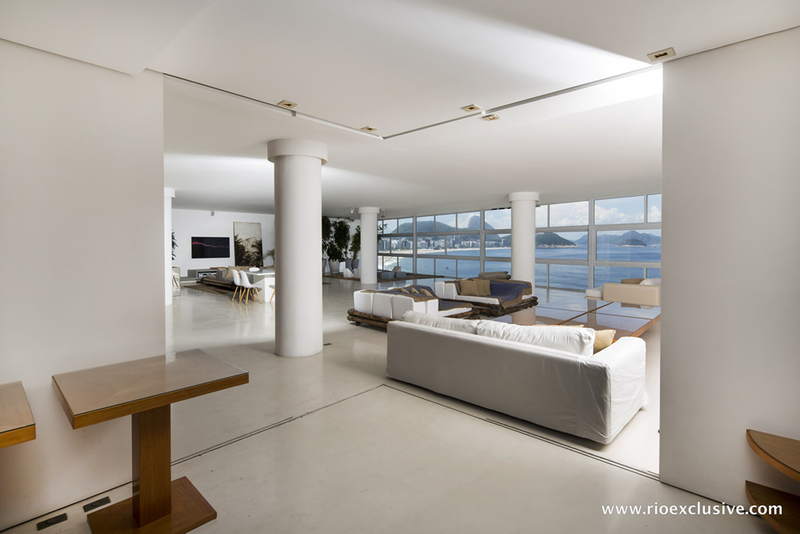 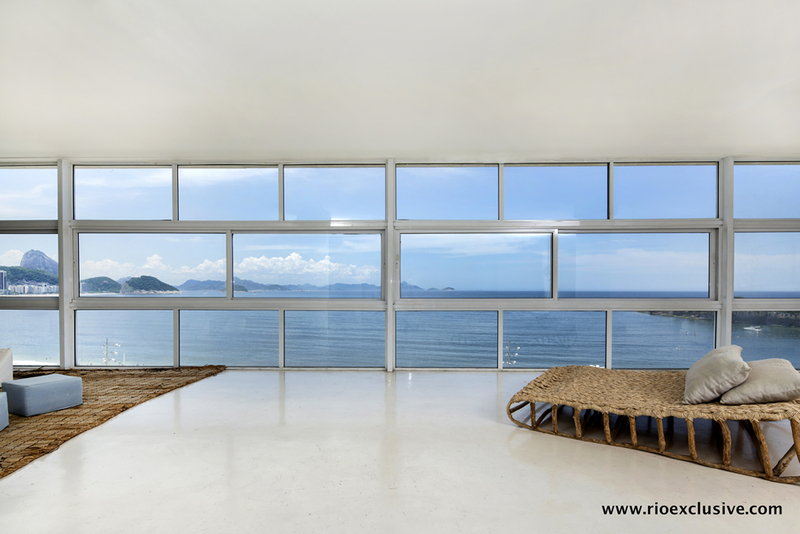 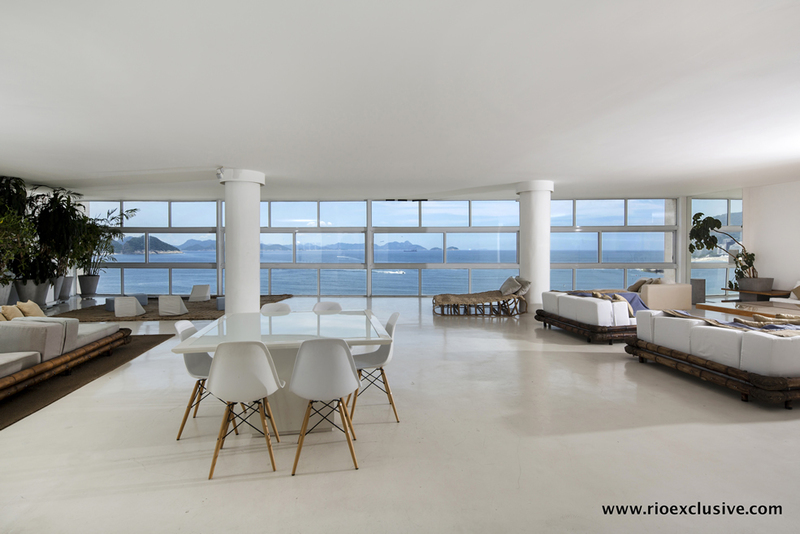 Recently renovated, the apartment has huge windows in the living room, from where you can see famous sights such as the Forte de Copacabana and the Sugar Loaf with all its splendor. 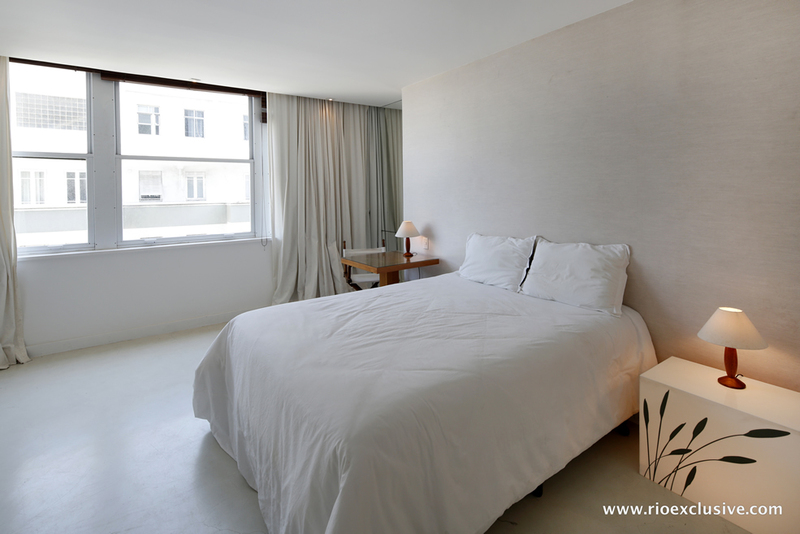 This beautiful property has 3 very spacious bedrooms (2 more being reversible) and 3 bathrooms. 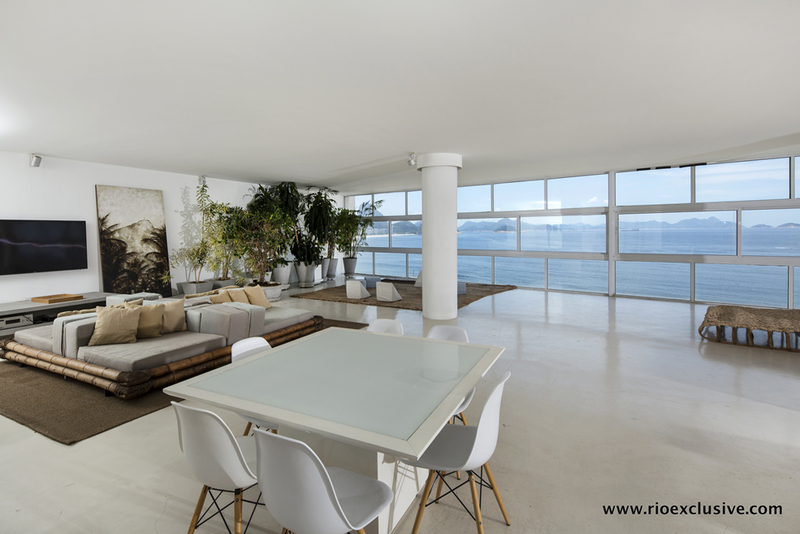 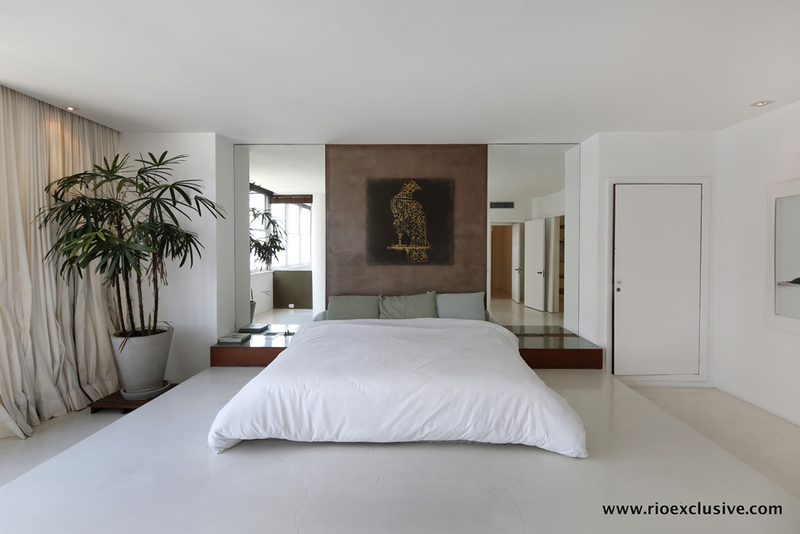 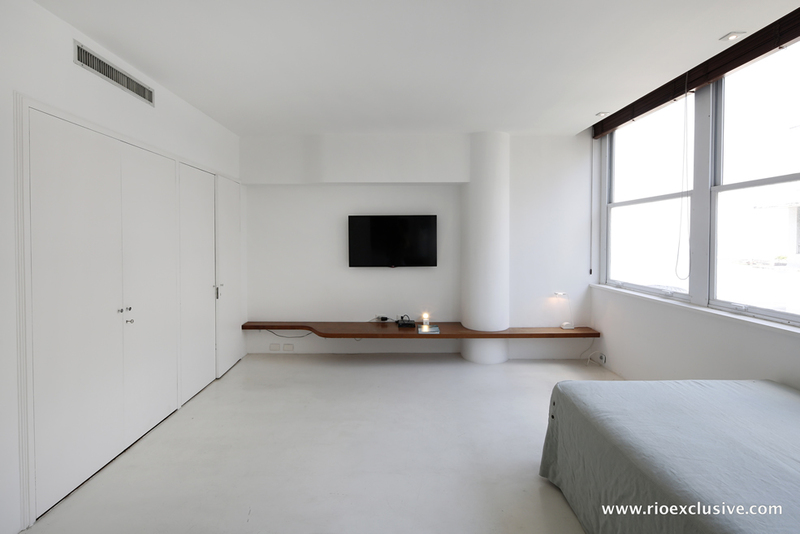 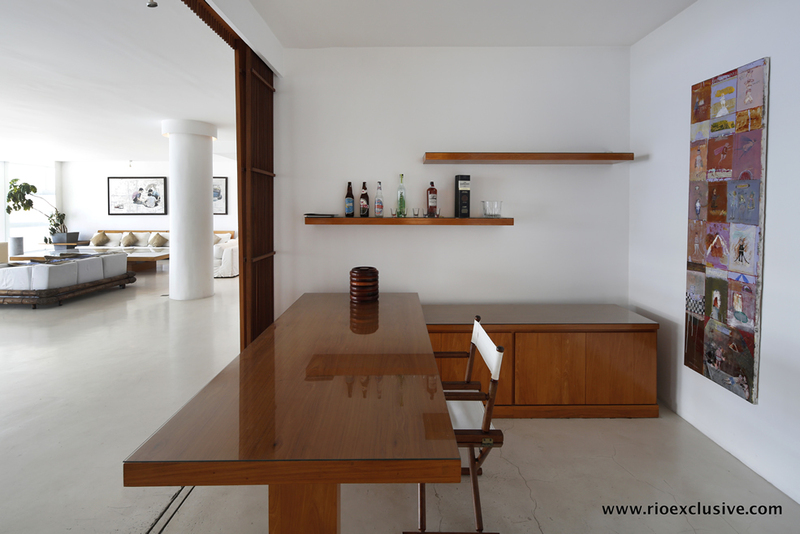 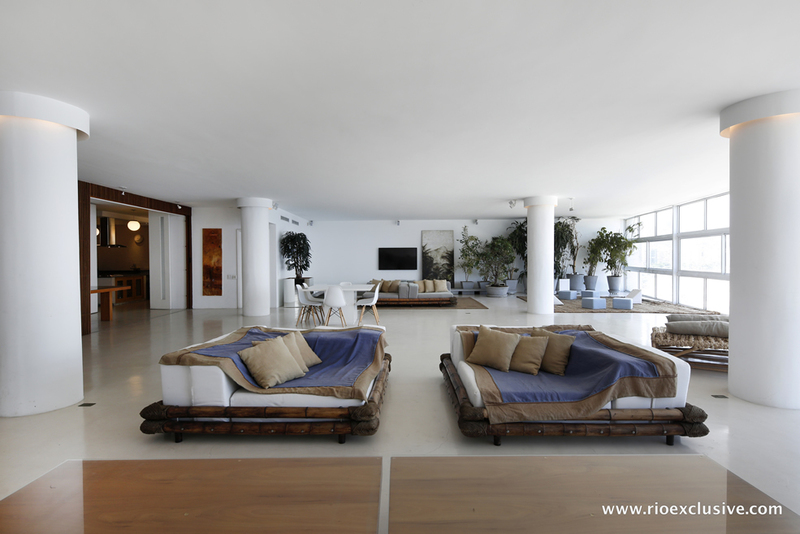 In general, the rooms are very spacious because, after all, there are 560m² of total area of ​​the property. 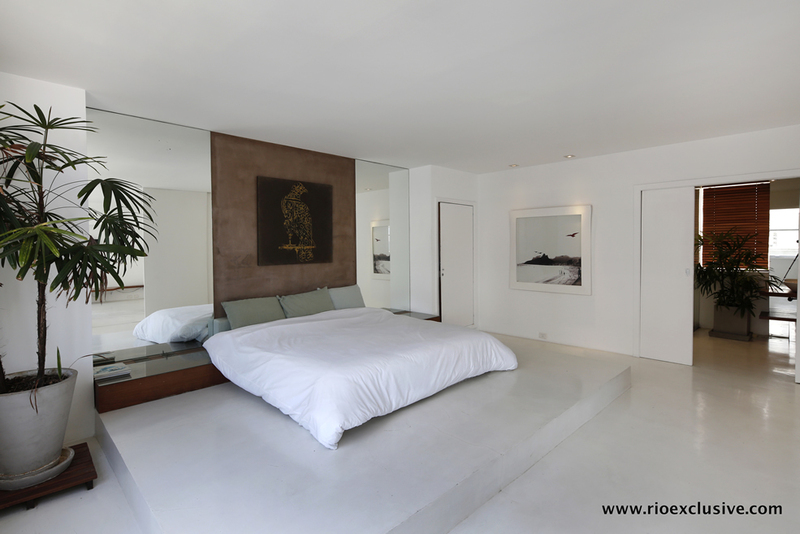 The master bedroom is an apartment in itself, as you have a separate television/entertainment area, which actually has sliding wooden doors that can close to make this an extra bedroom. 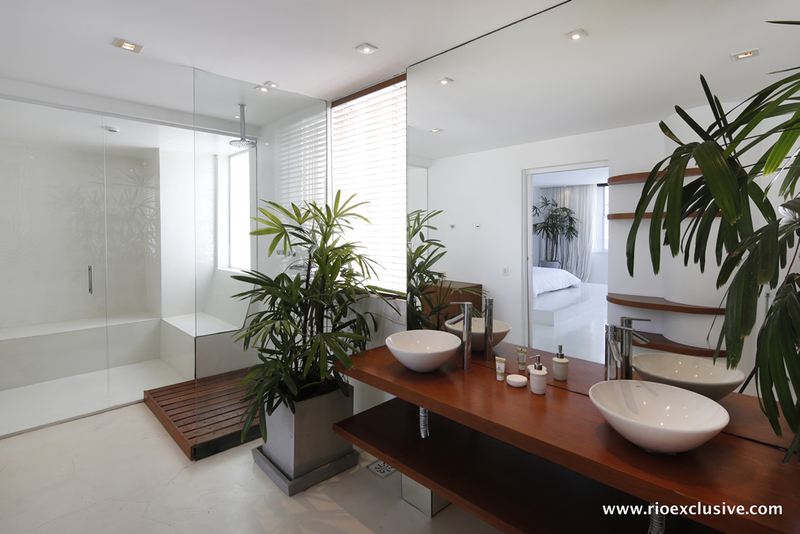 This master bedroom has a beautifully done en-suite bathroom, with oversized shower. 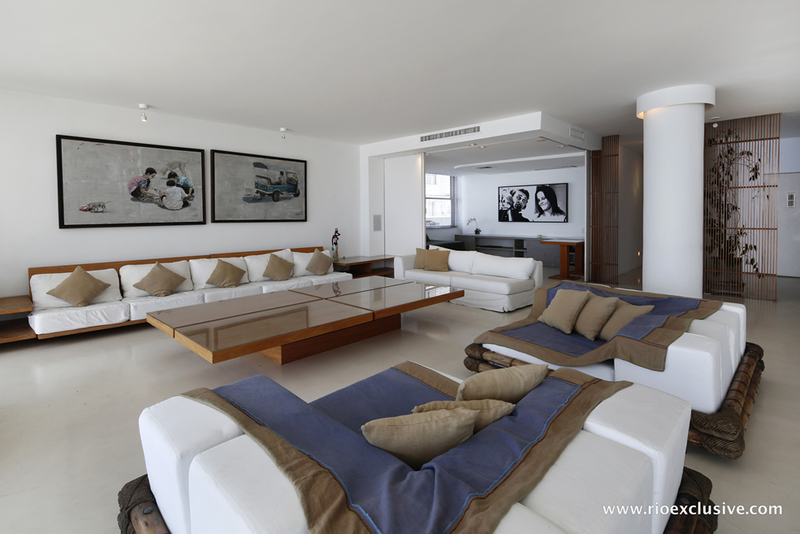 There can even be a 5th bedroom made in the living room, as in this area there is a separate open alcove which also has sliding doors which can be closed for privacy. 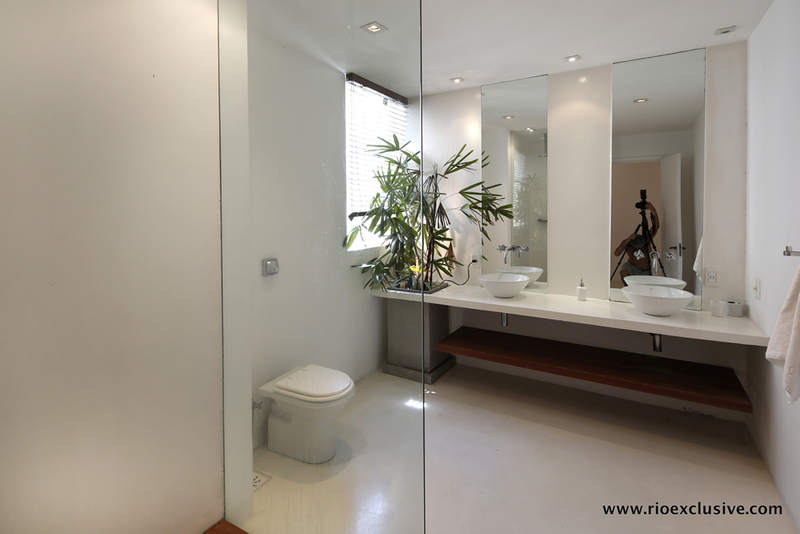 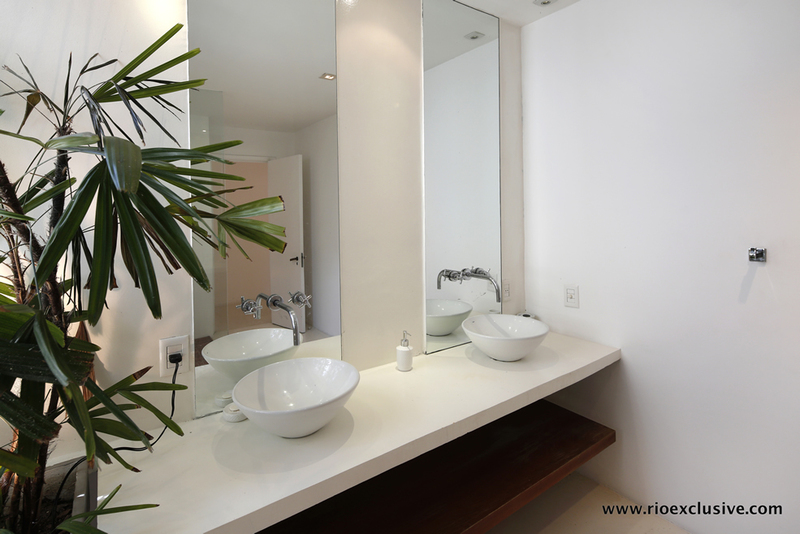 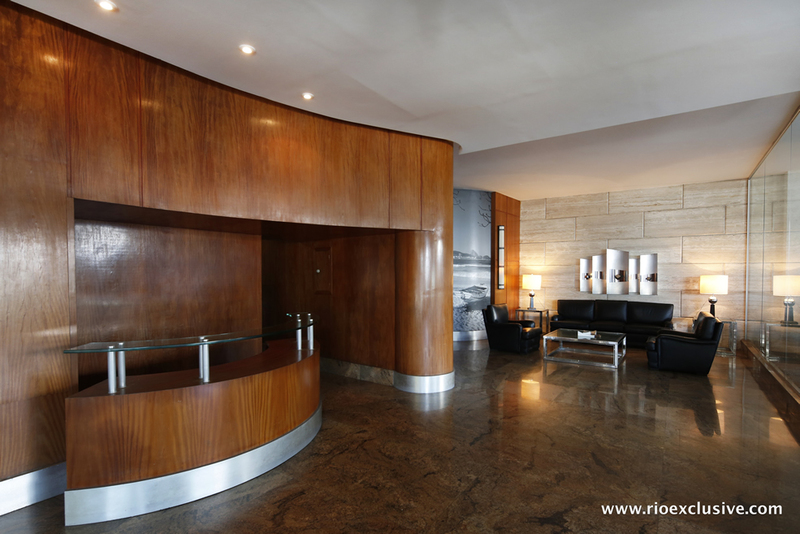 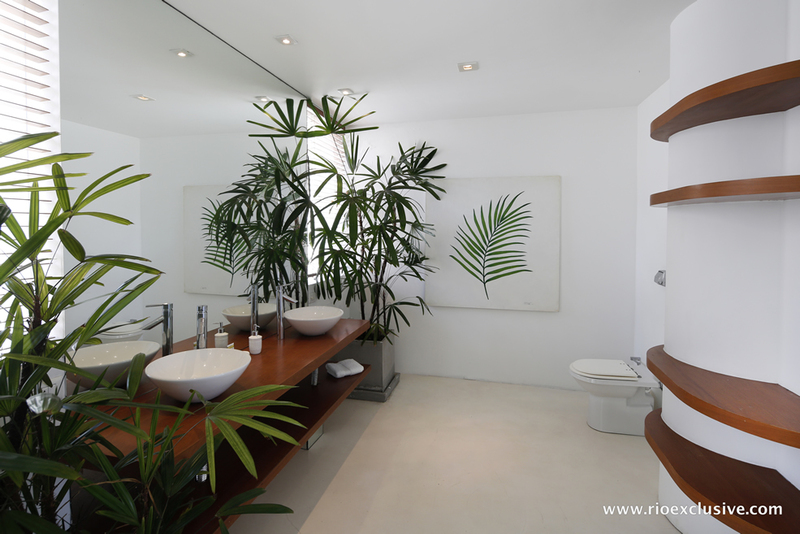 The bathrooms are very well lit and have a soft decor, based on wood and porcelain, with plants and many mirrors. 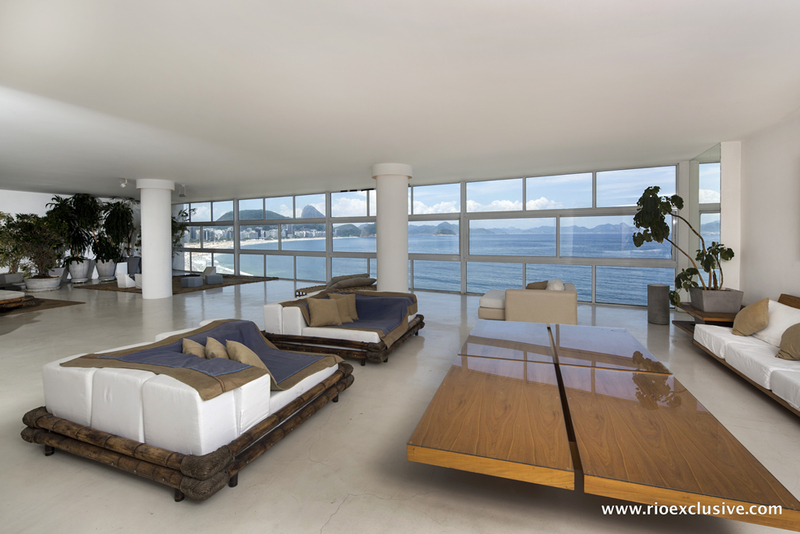 All the environments are very nice. 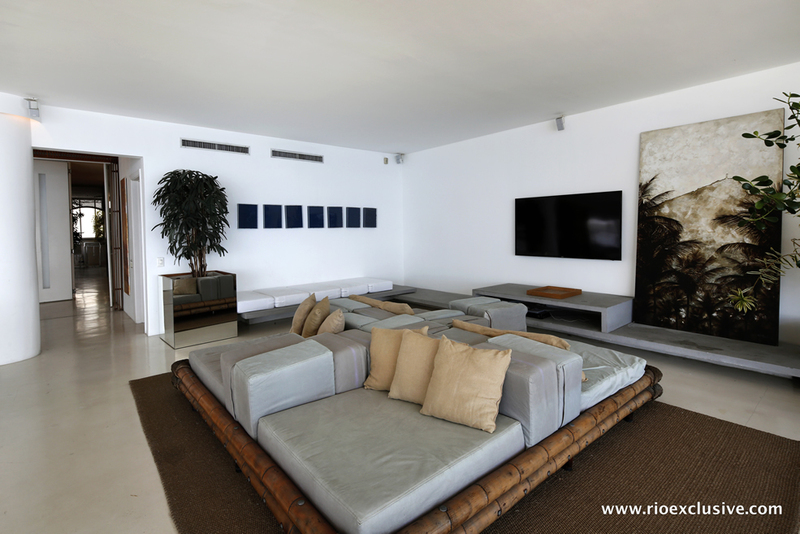 The huge living room occupies 220m² and has its huge windows providing plenty of natural light and a beautiful view, a large flat screen TV, home theater with video projector, sofas for relaxation and a large table for meetings with family and friends. 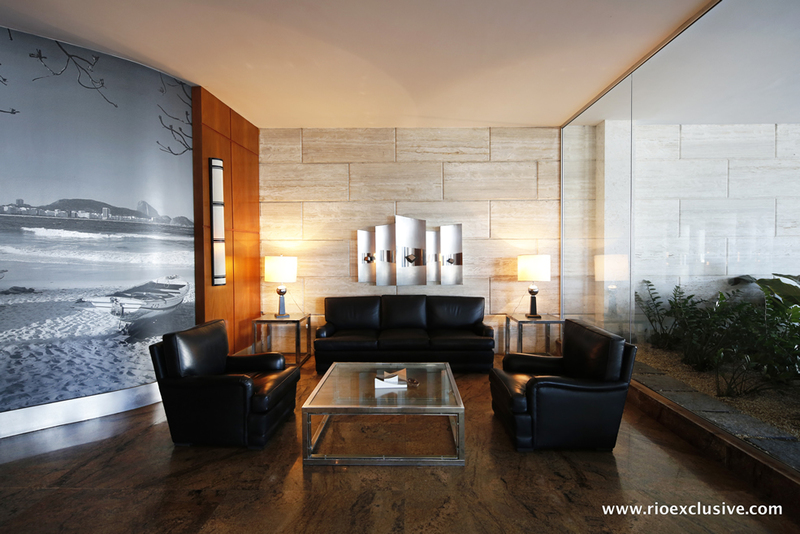 The modern decor adds a special touch to the room, ensuring a perfect harmony among all the furniture. 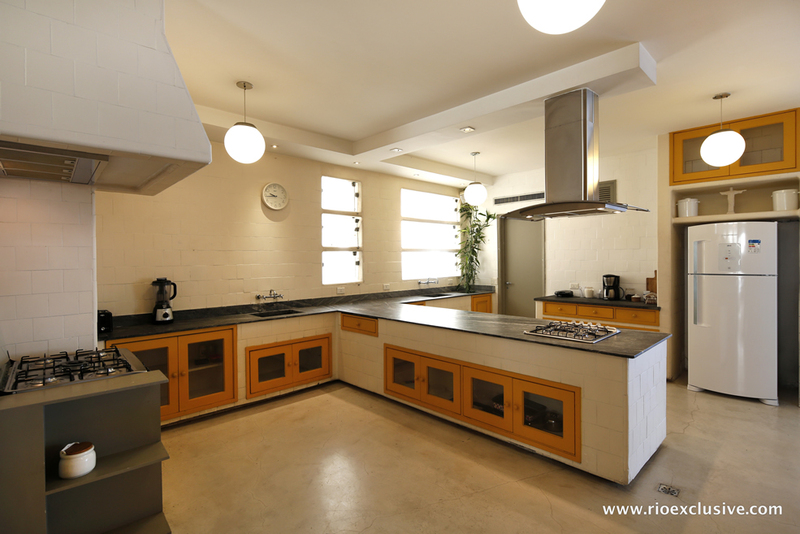 The elegant and beautiful kitchen is decorated with wood cabinets and dark marble countertops. 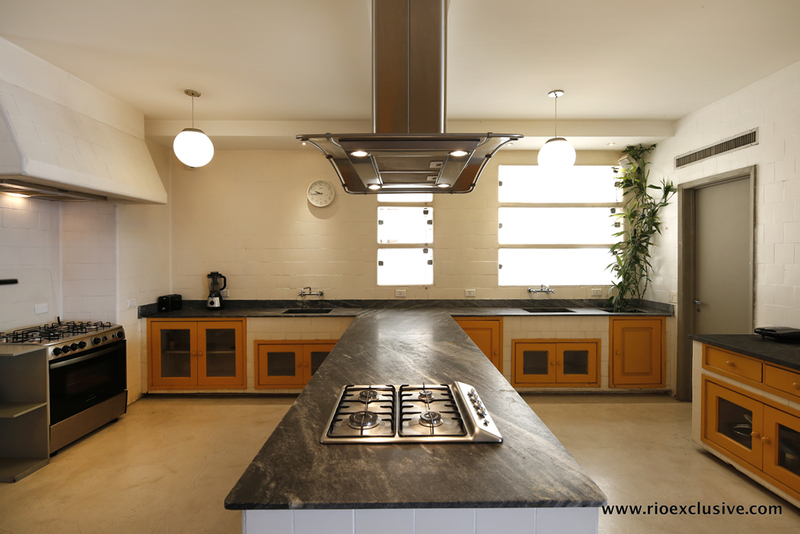 It was designed with plenty of space to prepare large meals and its two stoves, various utensils and appliances meets any demand with clearance. 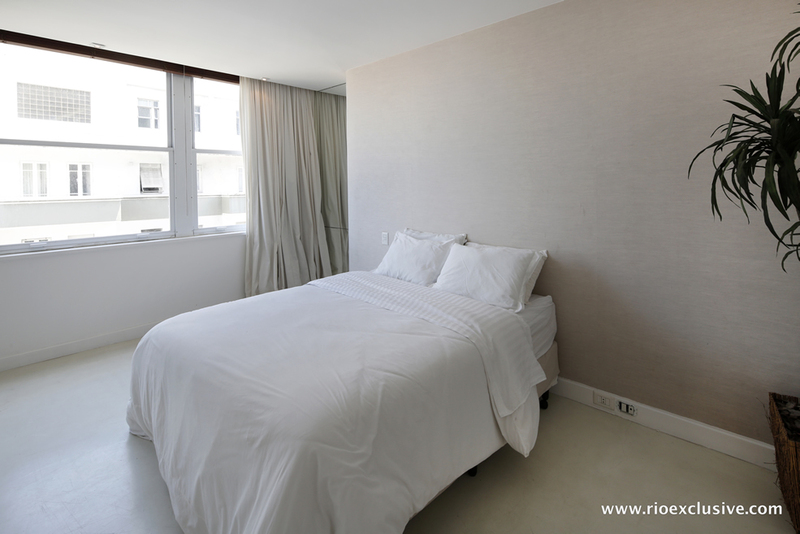 The property is located on Avenida Atlântica, the most important for the South Zone, which connects the noble neighborhoods and its beaches with the rest of the wonderful city. 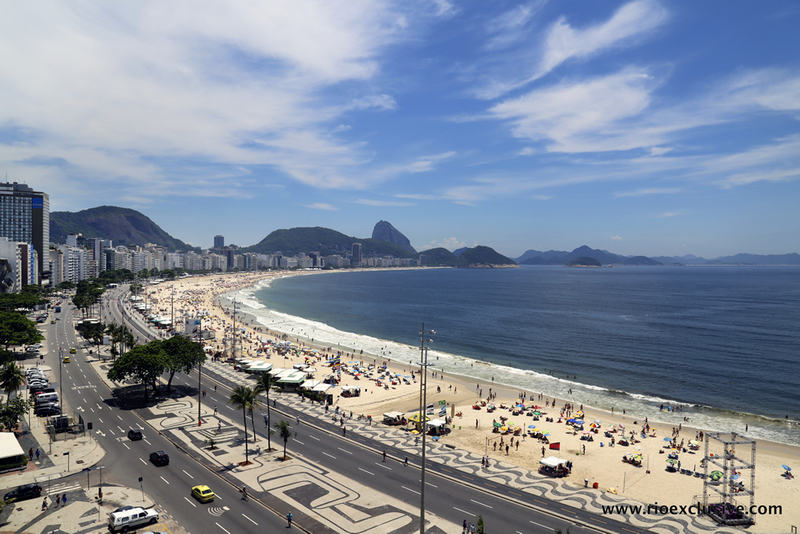 Its location is excellent, besides having the beach directly in front of the building, Copacabana has many markets, shops, restaurants, bars, clubs, drugstores and banks. 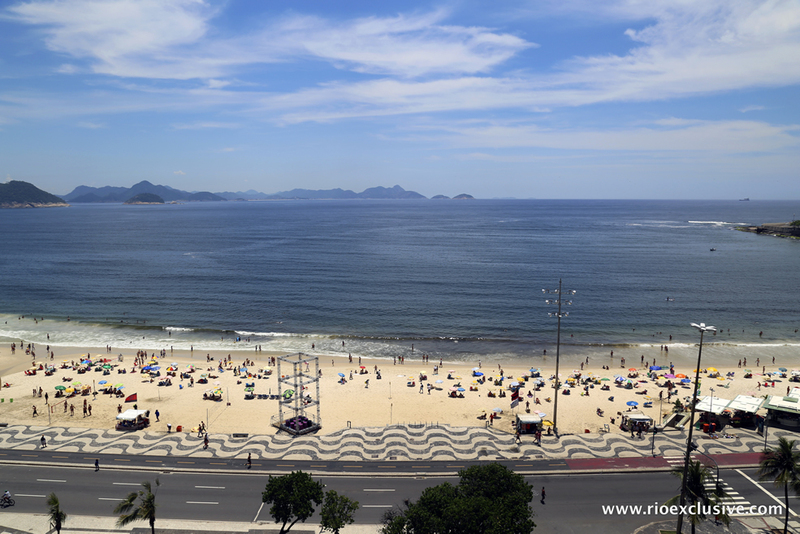 Also, public transportation will not be a problem. 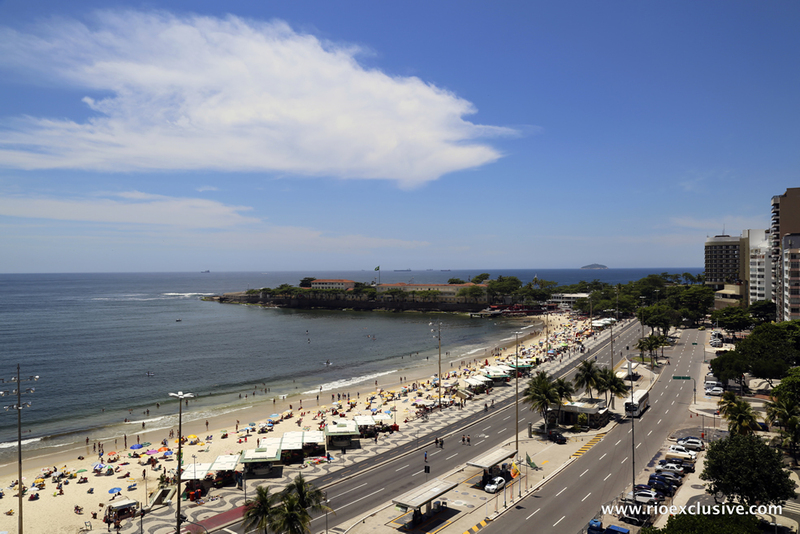 The surroundings have bus stops with options to any point of the city.